Free agents David Price, Zack Greinke, Jason Heyward, Chris Davis, Justin Upton, Johnny Cueto and Jordan Zimmermann all signed contracts worth over $100 million following the 2015 MLB season, joining the ever-growing list of baseball's $100 million men. The Miami Marlins and outfielder Giancarlo Stanton reached a deal on Nov. 17, 2014, that will pay him $325 million over 13 years. The deal also gives Stanton an early opt-out clause and a no-trade provision. 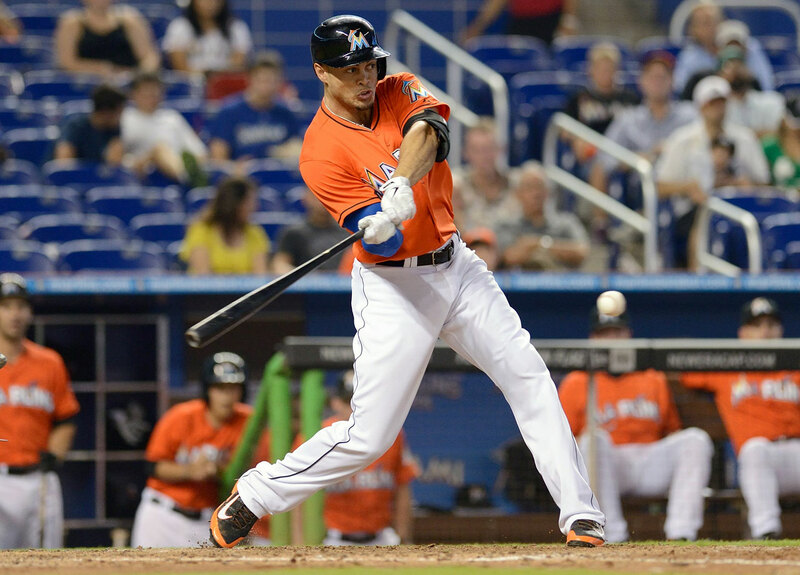 Stanton had just completed his fifth season with the Marlins, batting .288 with an NL-leading 37 home runs in 2014. He also had 299 total bases, 105 RBI, 24 intentional walks and a .555 slugging percentage. He has led the NL in slugging percentage twice, in 2012 and '14. Only A-Rod, it seems, can beat A-Rod. After a monster 2007 season that resulted in his third AL MVP award, Rodriguez opted out of his record $252 million deal with three years remaining. He eventually wound up back with the Yankees, setting a new record (at the time) for the richest contract in baseball history, one that included potential bonuses for reaching certain milestones. On top of the two years and $44 million remaining on his previous deal (eight years, $152.3 million), Cabrera is guaranteed a total of $292 million over the next 10 years. 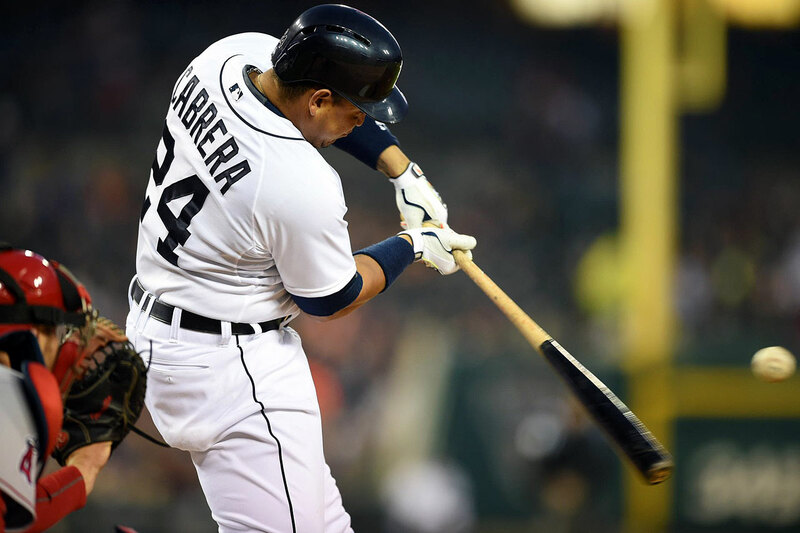 During his Tigers tenure, Cabrera has won three straight batting titles, led the league in OBP three times and in slugging percentage twice, all while helping the Detroit Tigers to three straight AL Central flags. He won the Triple Crown in 2012, the first player to do so since Carl Yastrzemski in 1967. When the three-time NL MVP agreed to a $254 million, 10-year contract with the Los Angeles Angels, it made his seven-year, $100 million deal with the Cardinals in 2004 look like the biggest bargain of them all. Pujols had established himself as the best pure hitter in the game, helping lead the Cardinals to World Series titles in 2006 and 2011. 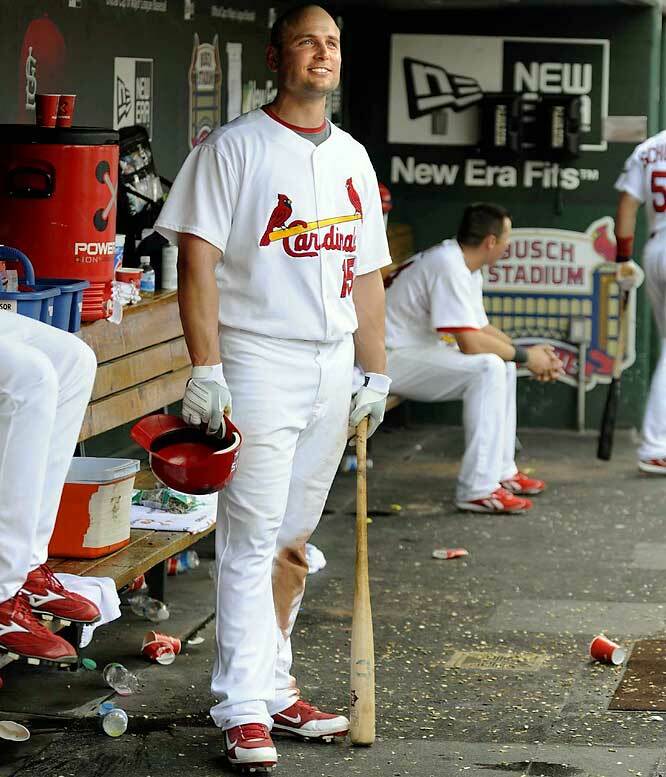 He won the 2005, '08 and '09 NL MVP awards and finished second in the voting for '06 and 2010. The five-time All-Star and Silver Slugger with a career .309 average headed to Seattle after agreeing to a deal with the Mariners on Dec. 6, 2013. 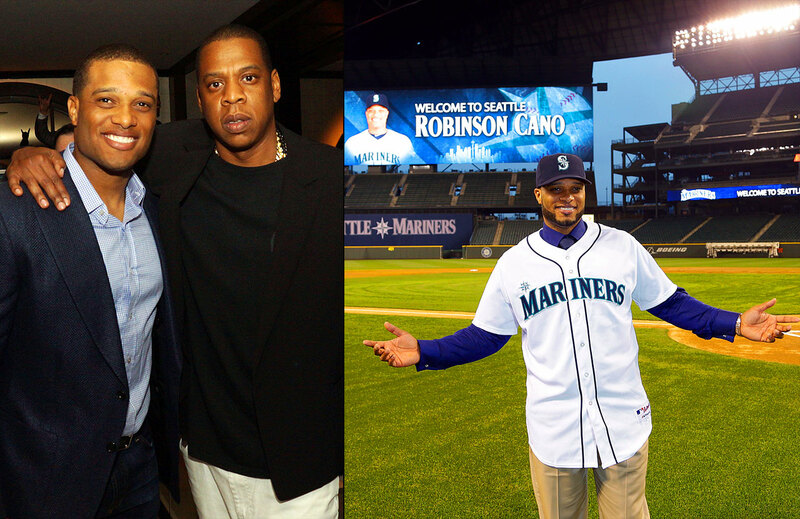 His agent, Jay-Z of the new Roc Nation Sports agency, got the offseason's biggest free agent prize a contract that will take Cano through his age-40 season. Votto made $9.5 million in 2013 and $17 million in 2014 before the new contract kicked in. He's all set to be a Red through 2023, when he'll be 39 years old. 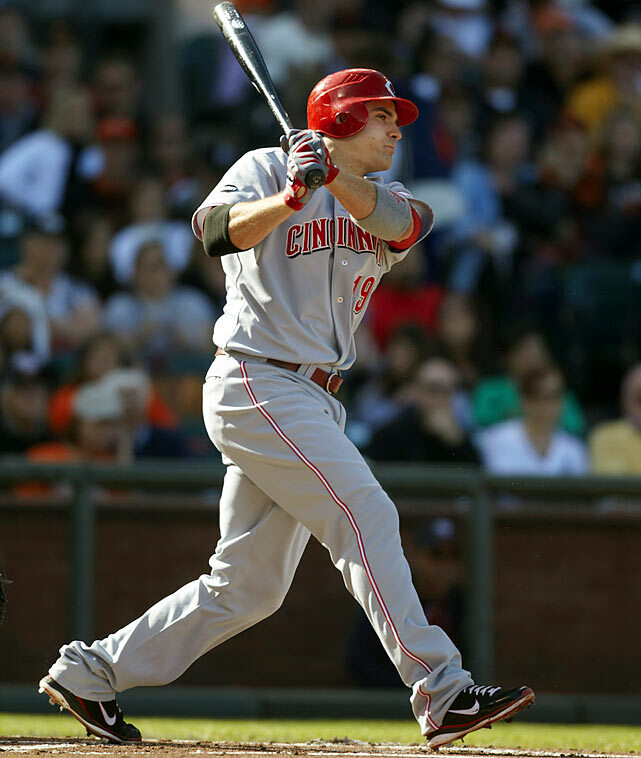 The Reds drafted Votto in the second round in 2002 and guided him to stardom, with Votto named the 2010 NL MVP. 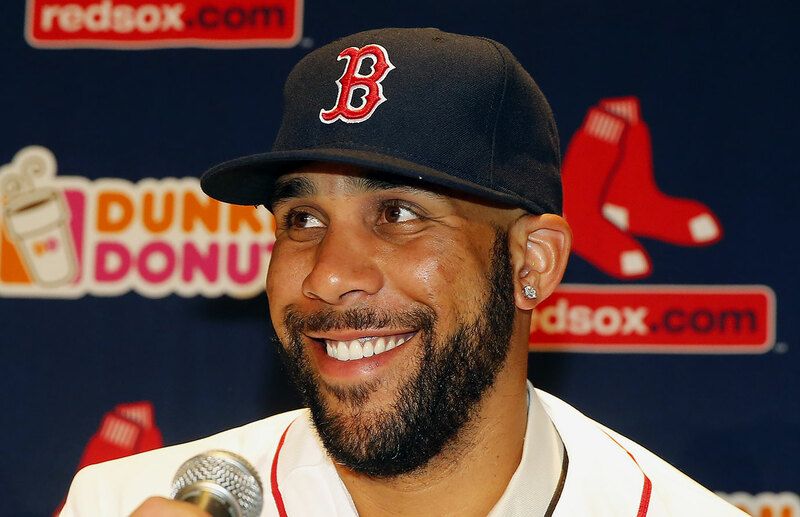 The Boston Red Sox and David Price agreed to the highest contract for any pitcher on Dec. 1, 2015. Price, 30, will be paid $90 million over the first three years of his deal, and will have an opt-out clause after the third season. The lefthander went 9–1 with a 2.30 ERA in 11 starts with Toronto in 2015 after the Tigers traded him to the Blue Jays in July. Price posted a career-best 2.45 ERA in a combined 32 starts for Detroit and Toronto and reached 18 wins for the third time in his eight MLB seasons. He was also named to his fifth All-Star team. 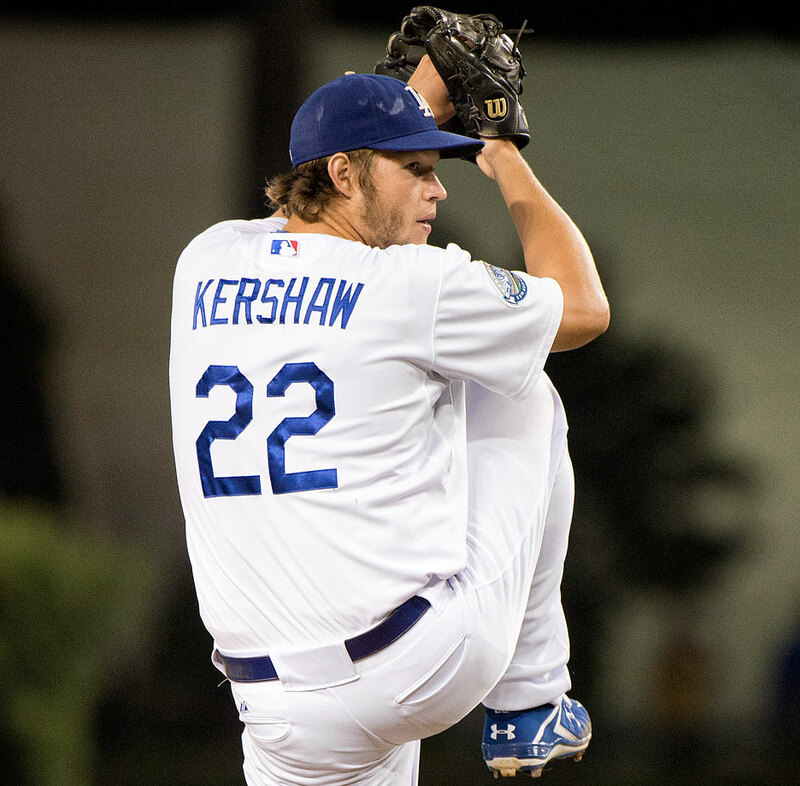 Kershaw and the Los Angeles Dodgers agreed to the richest contract ever for a pitcher in Jan. 2014. He had won two of the last three NL Cy Young awards and led the league in ERA the previous three seasons. 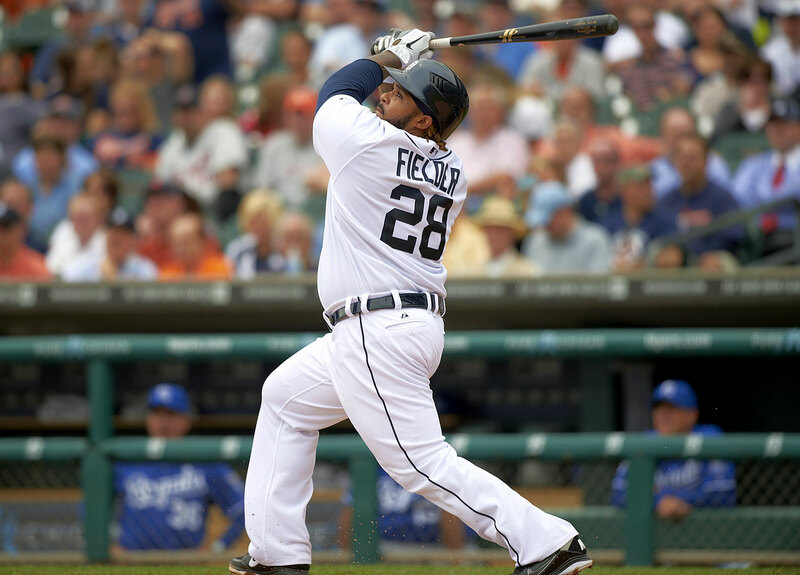 It took until late January of 2012 but Prince Fielder finally found a new home, agreeing to a nine-year, $214 million deal with the Detroit Tigers. Fielder had averaged 38 home runs in his six full seasons with the Brewers, made three All-Star teams and helped them reach the postseason twice. The 2013 AL Cy Young Award winner agreed to a seven-year deal worth $210 million with the Washington Nationals on Jan. 19, 2015. 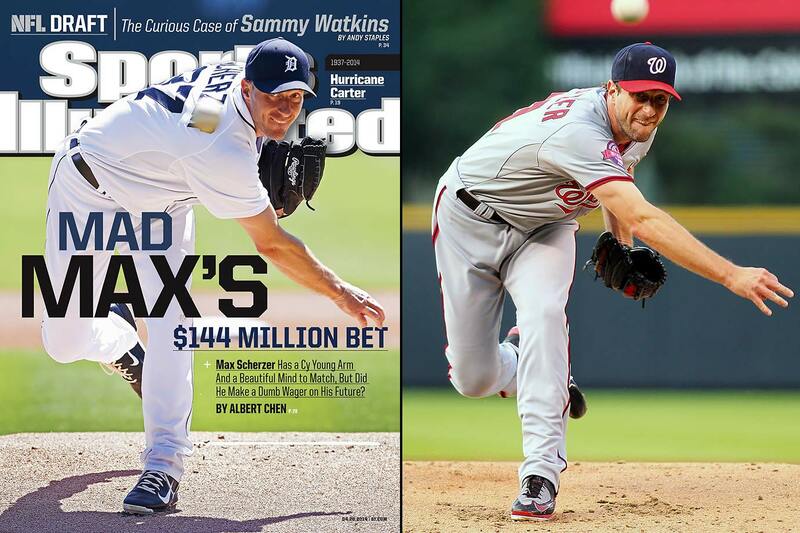 Scherzer will receive $15 million per year for 14 years. The right-hander turned down a six-year, $144 million extension from the Tigers in the spring of 2014. He went on to post an 18-5 record, 3.15 ERA with 252 strikeouts and 63 walks over 220 innings with Detroit that season. The Arizona Diamondbacks outbid the division rival Los Angeles Dodgers and San Francisco Giants for Zack Greinke, signing the three-time All-Star and 2009 AL Cy Young award winner on Dec. 4, 2015. Greinke had signed a six-year, $147 million contract with the Dodgers in 2013 but was able to opt out after three years. 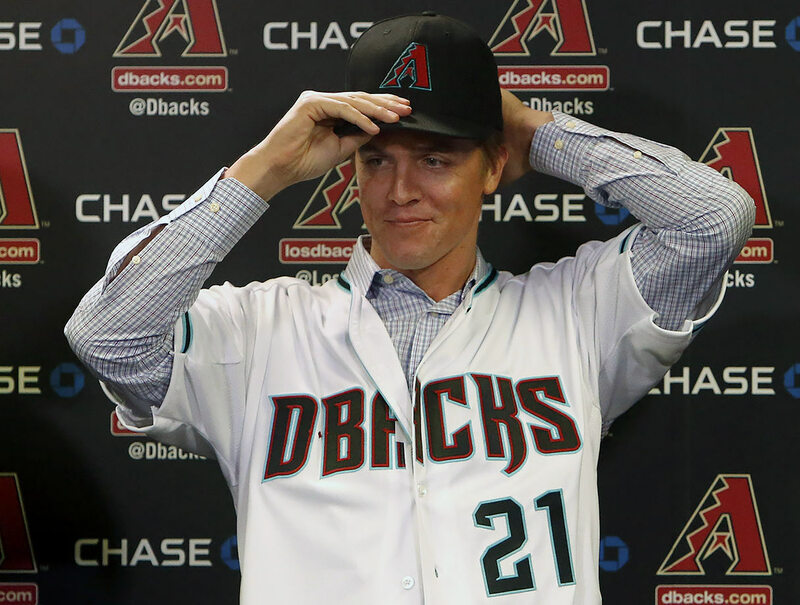 Greinke, 32, was a Cy Young award runner-up in 2015, leading baseball with a career-best 1.66 ERA and 0.84 WHIP to go with a 19–3 record and 200 strikeouts in 222 2/3 innings. Thanks to A-Rod's 10-year, $252-million deal of 2001, the Yankees felt compelled to reward their own superstar shortstop, who, unlike Rodriguez, had actually won championships before. Jeter had four World Series rings when he signed this deal in 2001. In the final year of his contract, Jeter set career lows in batting average, on-base percentage and slugging percentage at 35. 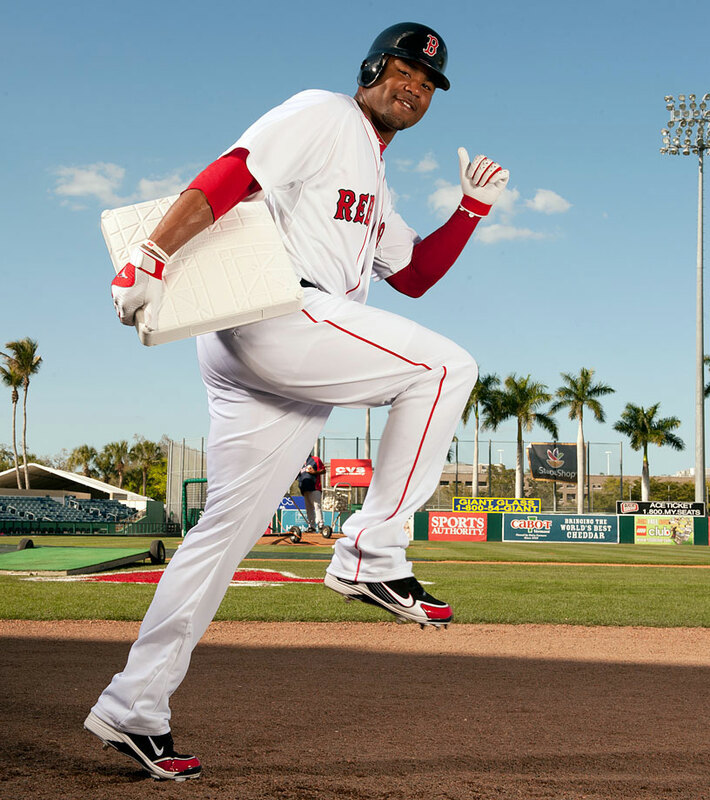 After the 2010 season, he agreed to a new three-year, $51 million contract that included a player option for the 2014 season, a salary that made him the highest-paid shortstop in the game and still one of the 20 highest-paid players in baseball. The once small-market Twins went to unprecedented (for them) financial lengths to keep hometown hero Joe Mauer in Minnesota, signing the St. Paul native to an eight-year, $184 million deal in March 2010. At just 26, Mauer had already won three batting titles, an AL MVP, and helped the Twins win two AL Central crowns. 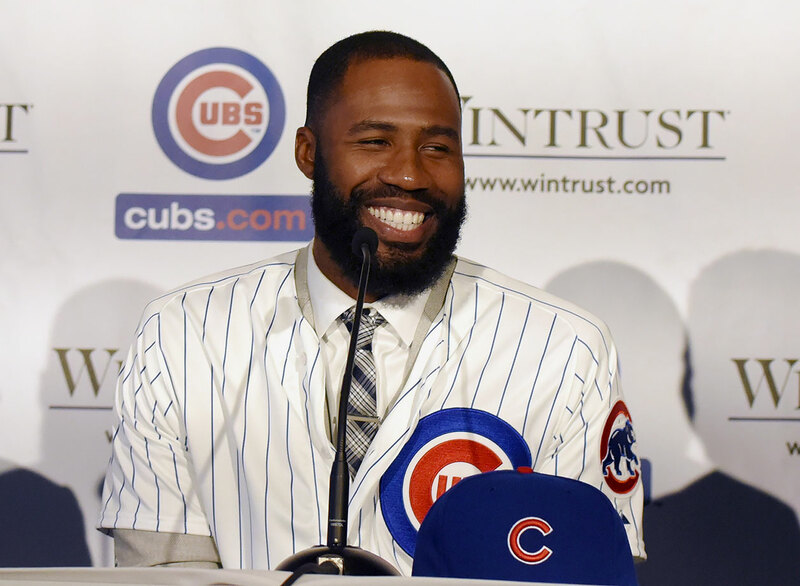 Heyward, 26, chose the Cubs on Dec. 11, 2015, over returning to the St. Louis Cardinals; he hit .293 with 13 home runs, 60 RBIs and 23 stolen bases in 2015 for the Cardinals after being acquired from the Atlanta Braves in an off-season trade. He also won his third Gold Glove award as the National League's top rightfielder. A switch-hitter with prodigious power, Mark Teixeira also has impeccable timing. His first foray into free agency coincided with the Yankees' vacancy at first base, and nobody spends like the Yankees. 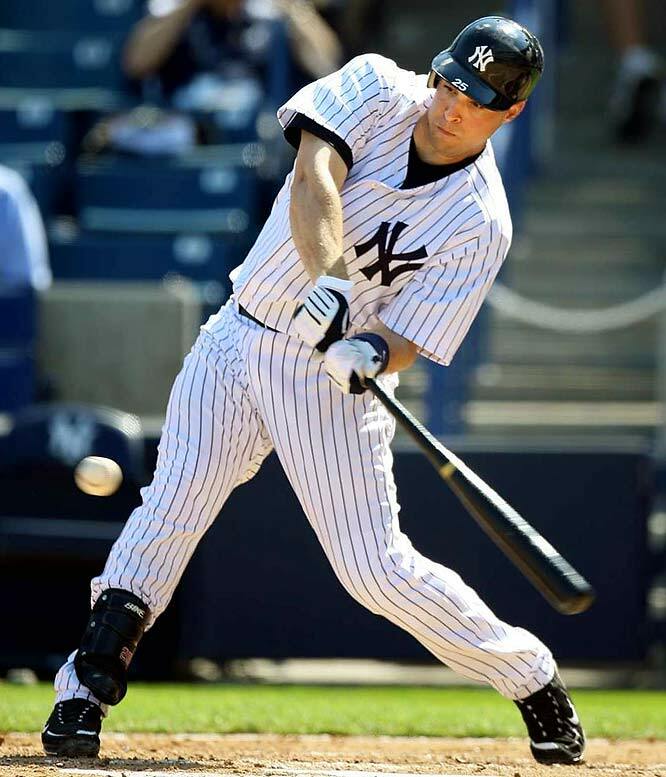 The Bronx Bombers agreed to terms with the former Angels slugger who, at the time, had hit 203 career home runs and didn't turn 29 until April 2009. The 2011 AL MVP and Cy Young Award winner had been signed through 2014 and set to earn $20 million in both 2012 and 2013. The new deal announced on March 29, 2013, kept those salaries and added $140 million in new guaranteed money: $28 million each season from 2015-19. It includes a $22 million option for 2020 that would become guaranteed if he finishes among the top five in 2019 Cy Young voting. The deal could be worth $202 million over eight seasons. At the time, Verlander's agreement was the richest deal for a pitcher in baseball history. 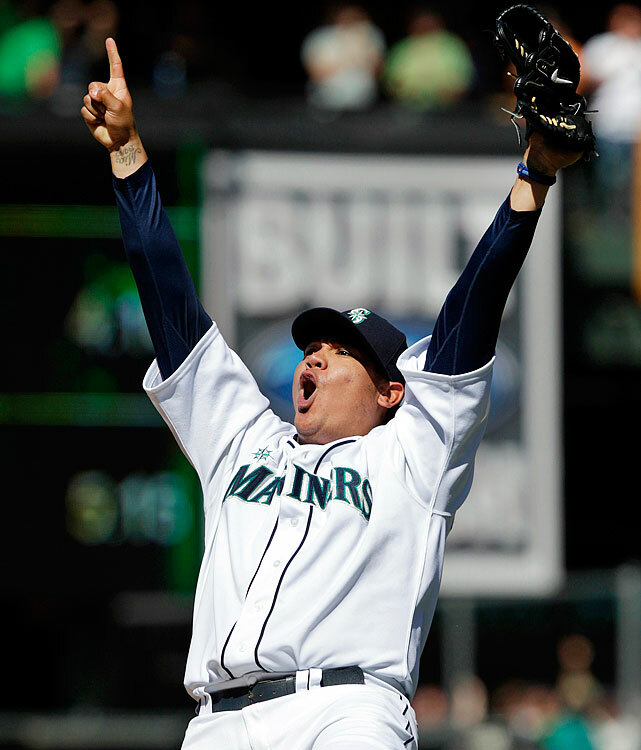 King Felix agreed to a contract with the Mariners prior to the 2013 season that made him the highest-paid pitcher in baseball (at the time). There had been speculation and reports about an injury to the three-time All-Star and 2010 AL Cy Young Award winner's pitching elbow that could have been slowing the negotiations. The Nationals made the hard-throwing pitcher the No. 1 pick in the 2009 draft. He made his much-anticipated debut in 2010, but was forced to undergo Tommy John surgery later that season. Strasburg agreed to a seven-year, $175 million extension with Washington in May 2016, with the 27-year-old righthander getting two rolling opt-outs after the third and fourth seasons of his new contract, as well as performance bonuses for reaching 180 innings each year. 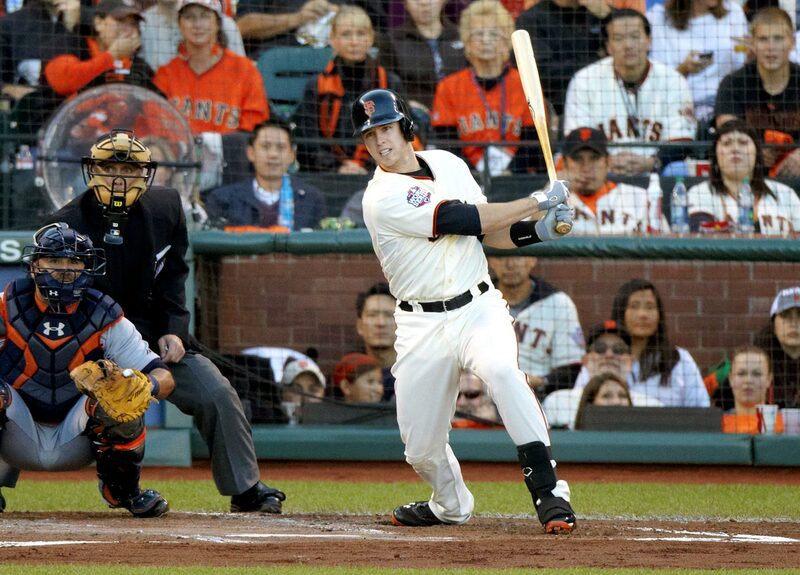 The San Francisco Giants and catcher Buster Posey agreed to an eight-year on March 29, 2013, with a $21.4 million club option for 2022. Posey was under contract through the 2016 season, but this new deal buys out several years of free agency. The 2012 National League MVP hit .336 with 24 home runs and 103 RBI in 2012, leading the team to their second world championship in three seasons. CC Sabathia parlayed one of the great performances by a midseason acqusition into the richest contract ever given to a pitcher. 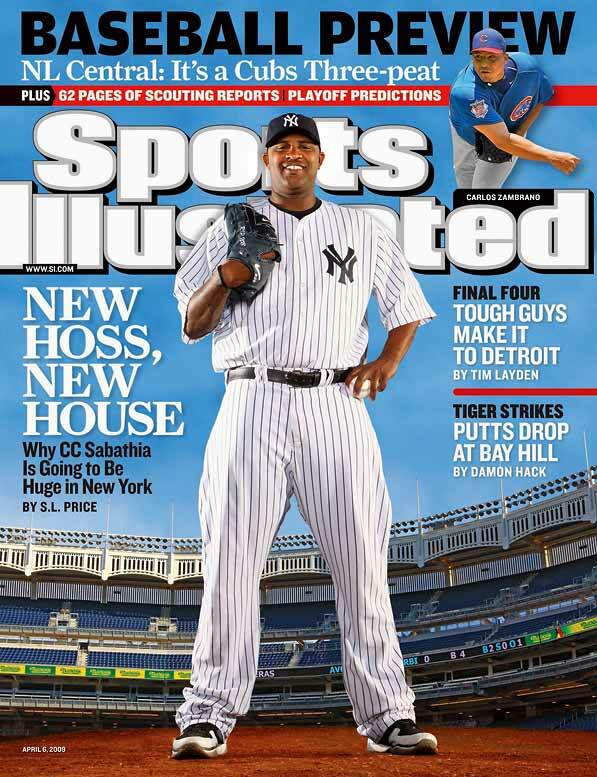 Sabathia, who went 11-2 with a 1.65 ERA for the Milwuakee Brewers after a July 2008 trade from the Cleveland Indians, signed a seven-year $161 million deal with the Yankees, topping the previous mark for a pitcher by more than $20 million. He agreed to a new deal after the 2011 season, adding another year and $30 million with a team option for a seventh season. 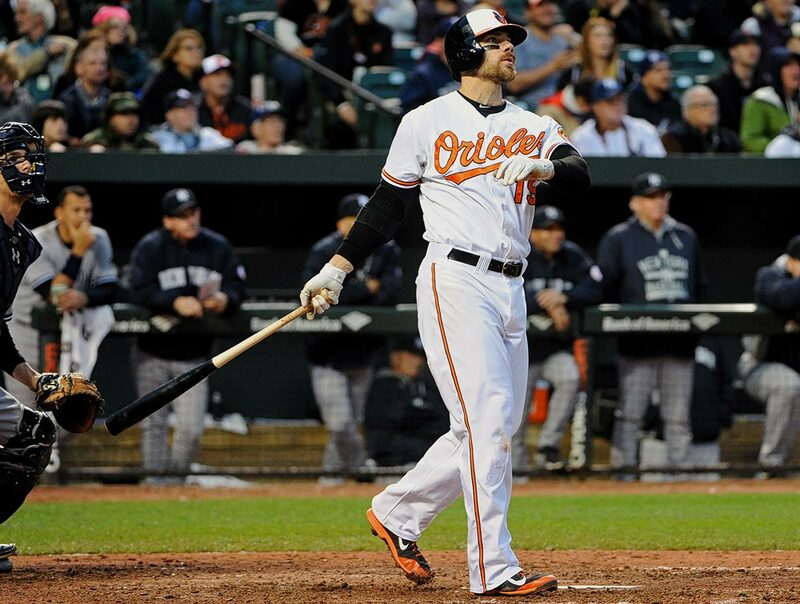 With Baltimore since 2011, the Orioles re-signed the 29-year-old Davis on Jan. 16, 2016. He hit a major-league leading 47 home runs and amassed 117 RBIs in 2015. 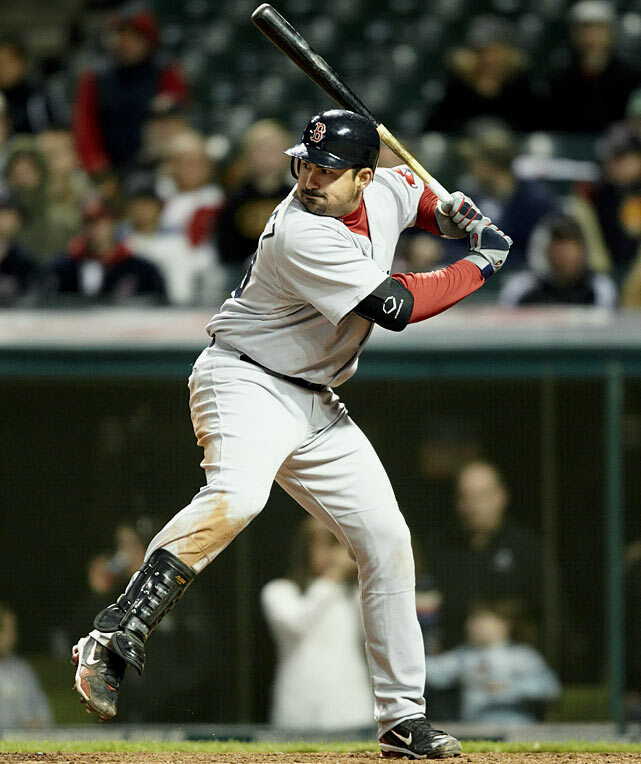 The first baseman/outfielder hit a career-high 53 long balls in 2013. During the length of Ramirez's deal, the world saw the best and worst of Manny Being Manny: two World Series titles, a fearsome bat and puzzling lapses in hustle and attitude. Ramirez was traded to the Dodgers in July 2008 and signed a 2-year, $45 million contract with L.A. before the '09 season. In his best season-to-date, the 27-year-old hit .324/.399/.586 and led the National League with 39 home runs and both leagues with 126 RBI in 2011. He also stole 40 bases, falling just one home run shy of joining the elite 40 stolen base and 40 home run club. 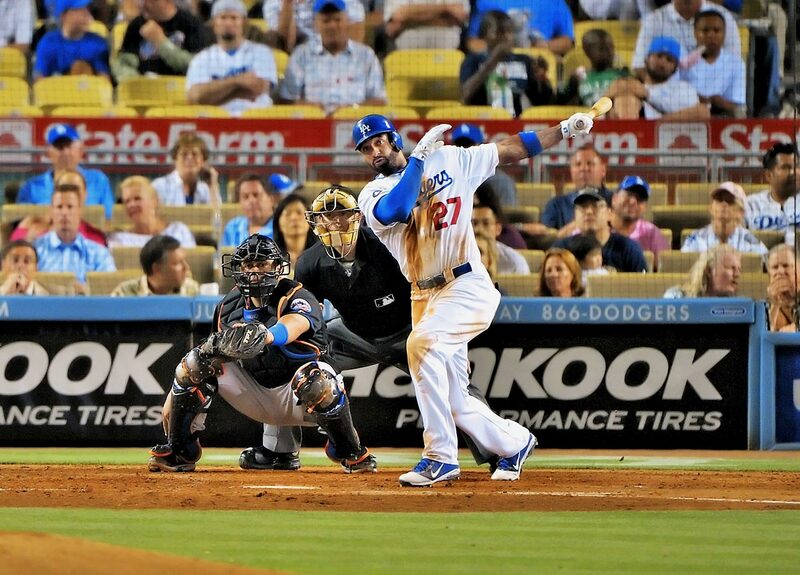 As a result, the Dodgers agreed on an eight-year contract extension with Kemp. 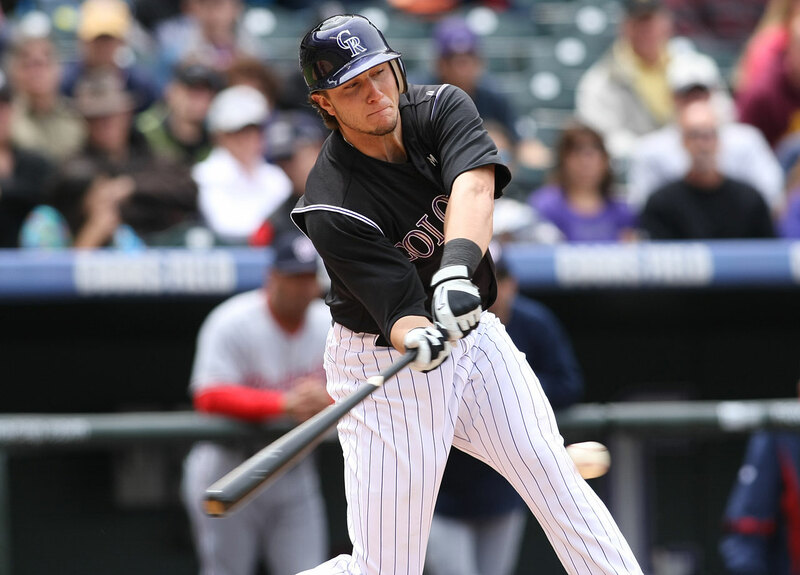 Tulowitzki was already under contract for three more years at a very affordable $28.75 million when the Rockies inked him to a 10-year, $157.75 million deal after the 2010 season. Tulowitzki was just 26 at the time he signed his new deal and was coming off a season in which he made his first All-Star team and won his first Gold Glove award. After weeks of speculation, ace pitcher Jon Lester turned down the San Francisco Giants and Boston Red Sox and signed with the Chicago Cubs on Dec. 10, 2014. The three-time All-Star was traded midseason of 2014 by the Red Sox to the Oakland Athletics, with whom he went 6-4 with a 2.35 ERA in 11 starts. 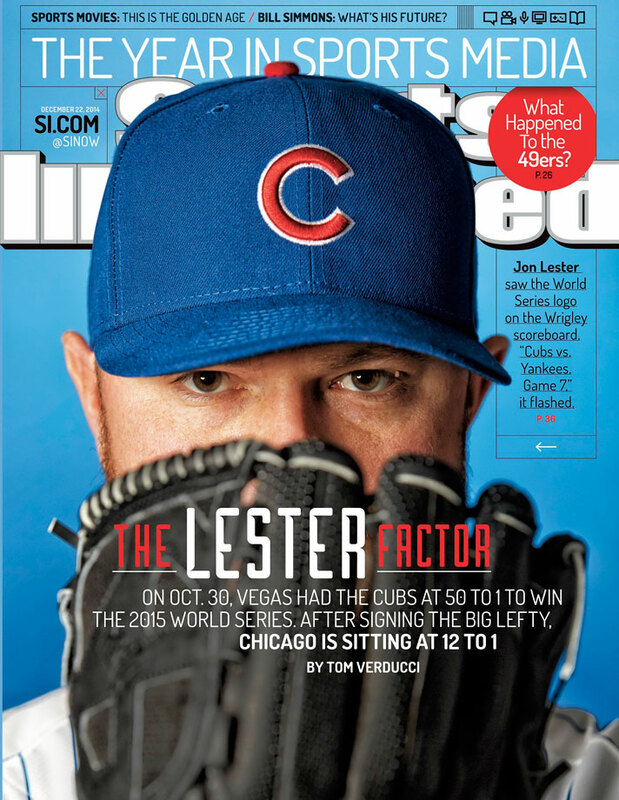 Through nine seasons, Lester has a 116-67 record. 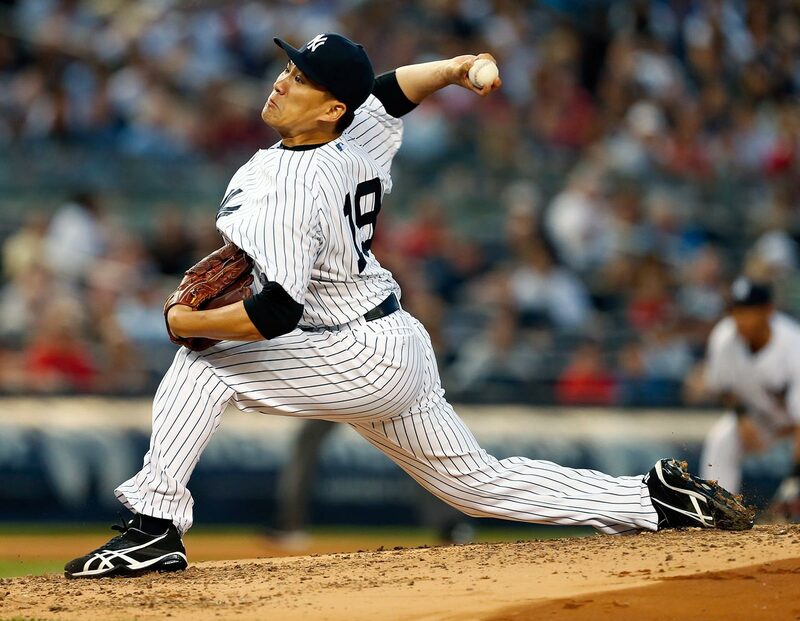 The Yankees, Dodgers, Cubs, White Sox and Diamondbacks were all viewed as finalists for the 25-year-old Japanese ace, but it was the Yankees who came out on top, signing Tanaka to a seven-year, $155 million deal. He was 24-0 with a 1.27 ERA in leading the Golden Eagles to the Japan Series title. Four months after acquiring Adrian Gonzalez from the Padres, the Red Sox signed the first baseman to the largest deal ever given by the club's current ownership. 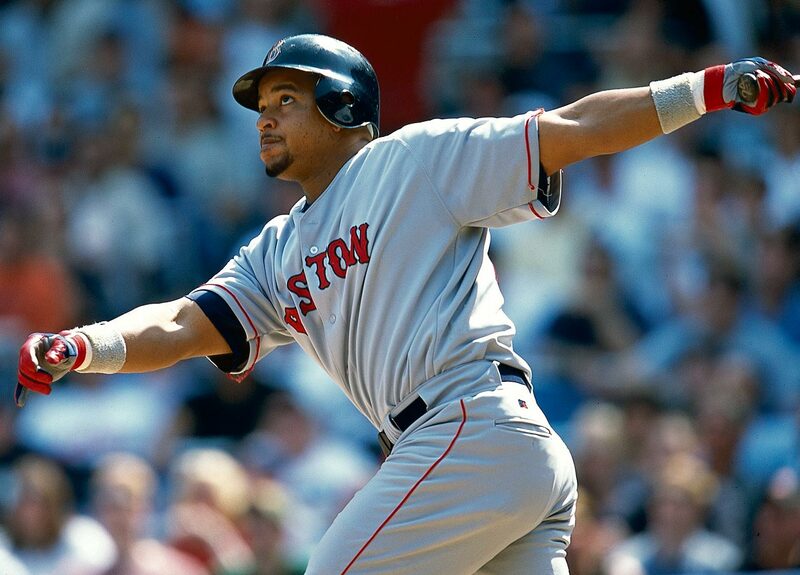 Manny Ramirez's eight-year, $160 million deal was signed by the club's previous owners. Gonzalez, 28, received a $6 million signing bonus, $21 million per year from 2012-16 and $21.5 million per year in 2017 and 2018. From 2006-10 with the Padres, Gonzalez averaged 32 homers and 100 RBIs, with a .288 batting average and a .374 on-base percentage. The Yankees were shut out of the postseason for just the second time in the Wild Card Era, they watched their bitter rival waltz away with a championship, they were dragged through an ugly public feud with their star player and they watched their TV ratings and attendance numbers plummet in 2013. It was not a good year for the Empire. So how would the Empire respond to defeat, debacle, and humiliation? Like they always do: The Empire strikes back. 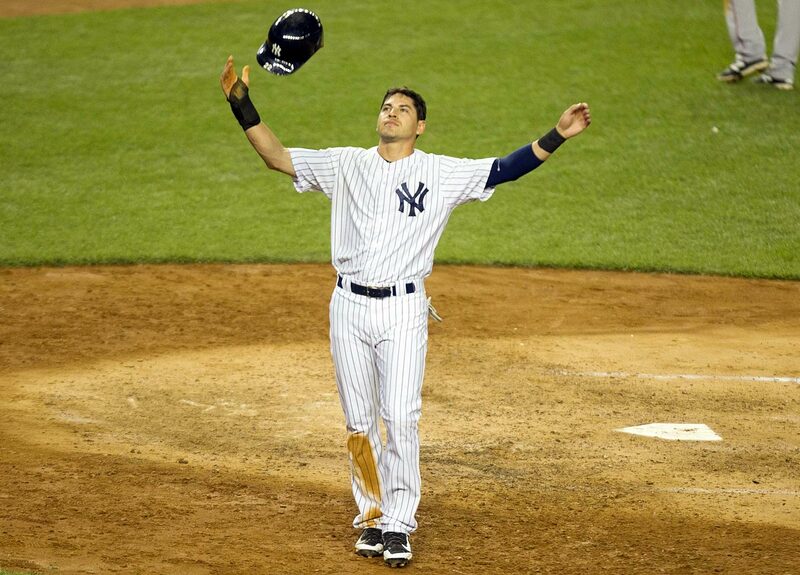 The Yankees signed former Red Sox outfielder Jacoby Ellsbury on Dec. 3, 2013. 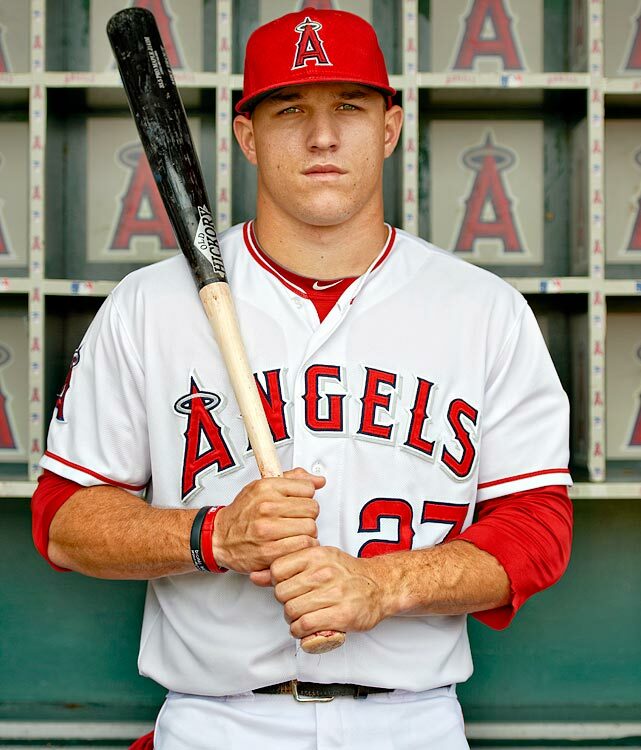 Trout agreed to a six-year contract extension with the Angels, including a full no-trade clause, that takes effect in 2015. The deal covers Trout's three arbitration years and delays his free agency by three years, expiring just after Trout's 29th birthday at the end of the 2020 season. When Cole Hamels and the Phillies agreed to a six-year, $144 million contract, he became the third Phillies' starter making at least $20 million per season. It was the largest contract signed by a Philadelphia athlete. The three-time All-Star and 2008 World Series MVP passed up an opportunity to possibly get more money on the open market to stay with the team that drafted him in 2002. Just days after trading for star slugger Adrian Gonzalez, the Red Sox landed four-time All-Star outfielder Carl Crawford, weakening the division-rival Tampa Bay Rays and bolstering their own title chances in the process. Crawford was a true five-tool player, having won a Gold Glove, batted .300 five times, stolen 45 or more bases seven times and hit double-digit home runs six times. 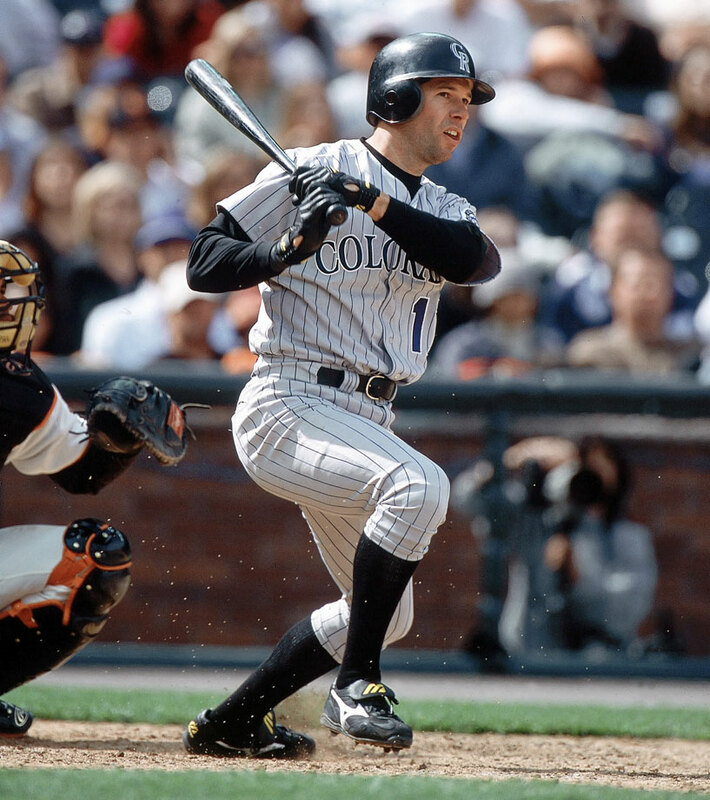 With player salaries skyrocketing in 2001, the Rockies thought they should lock up the star first baseman for an entire decade. Helton's numbers declined through the contract, but he did help to lead the Rockies to the 2007 NL pennant. 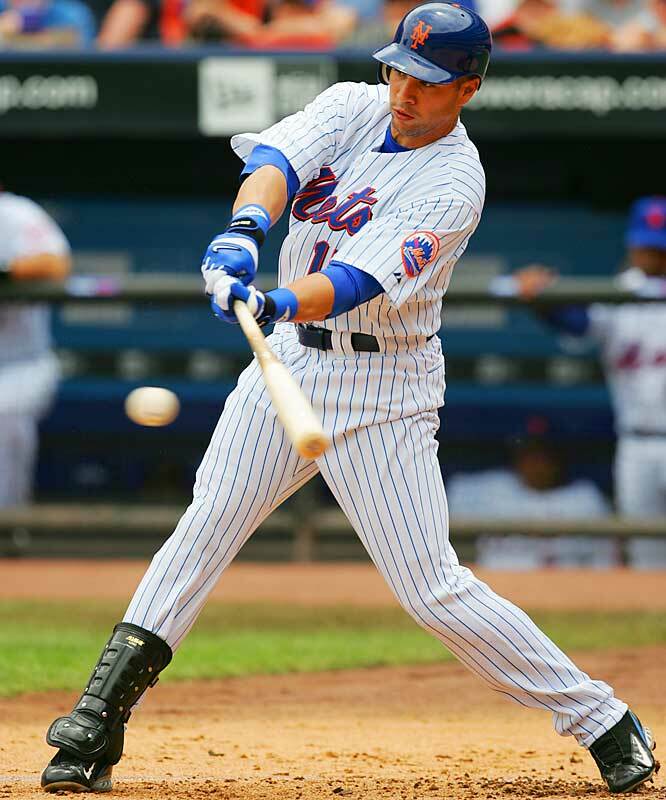 The Mets third baseman agreed to the richest contract in franchise history on Nov. 30, 2012. The deal replaced Wright's $16 million salary for 2013 and included $122 million in new money. 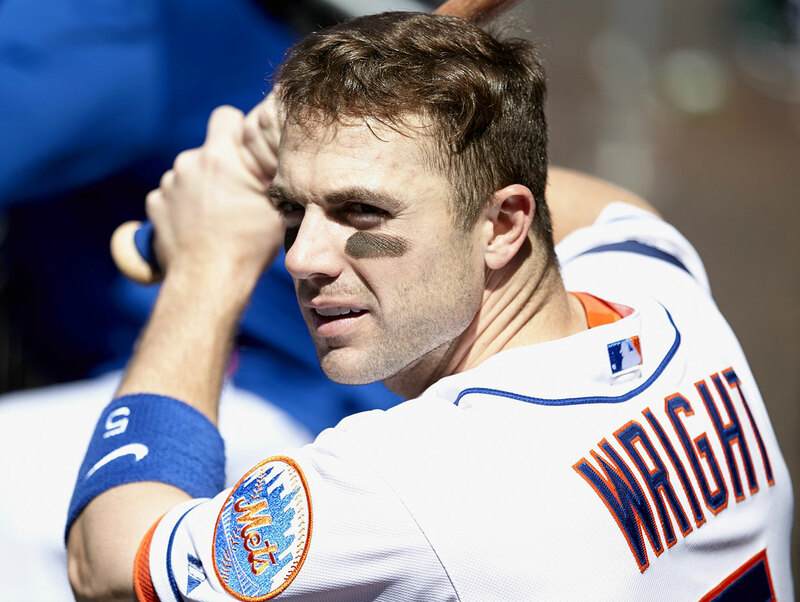 A homegrown fan favorite and the face of the franchise, Wright is the club's career leader in several major offensive categories including hits, RBIs, runs and walks. After months of pursuit the Mets finally agreed to a trade to acquire Santana, but the deal wasn't official until the Mets inked him to a contract extension. Not surprisingly, the two-time Cy Young winner became the highest-paid pitcher in baseball history (at the time), then went 16-7 with a 2.53 ERA in his debut season in Queens. 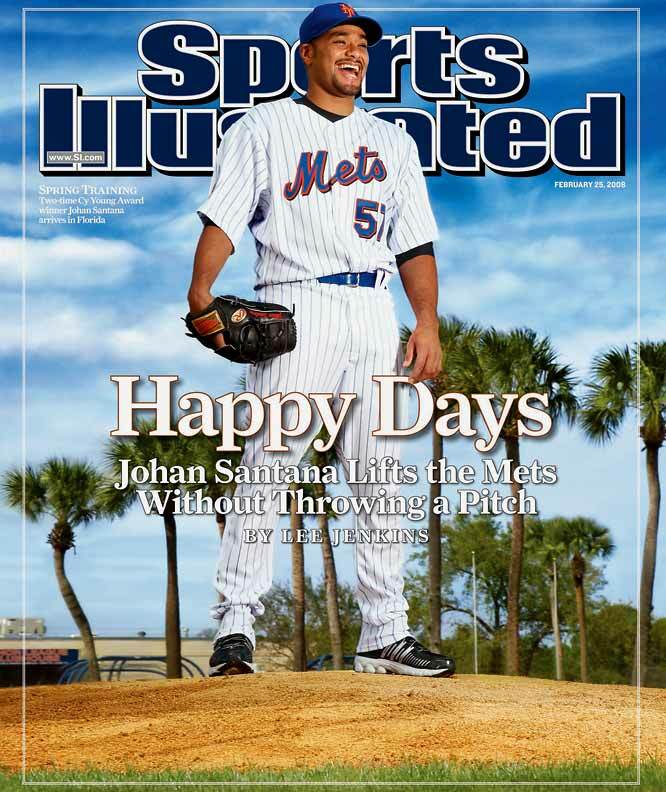 Despite barely pitching due to injuries through the remaining three years of the deal, Santana produced the Mets' only no-hitter in franchise history on June 1, 2012. Questions about Soriano's power were answered after he hit 46 home runs while playing for the Nationals, whose home stadium was cavernous. 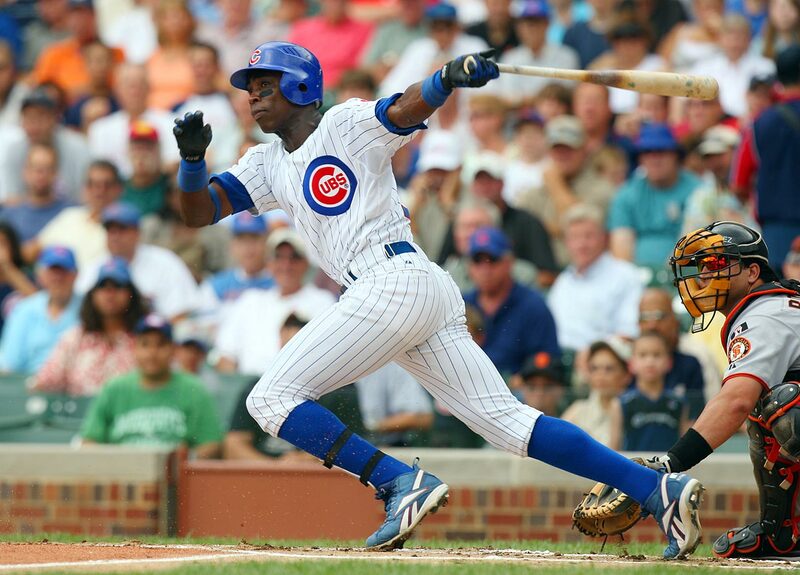 With that kind of power, it's no wonder that Soriano's lack of a position didn't seem to bother the Cubs, who signed him after 2006 and won the NL Central in his first two years with the club. 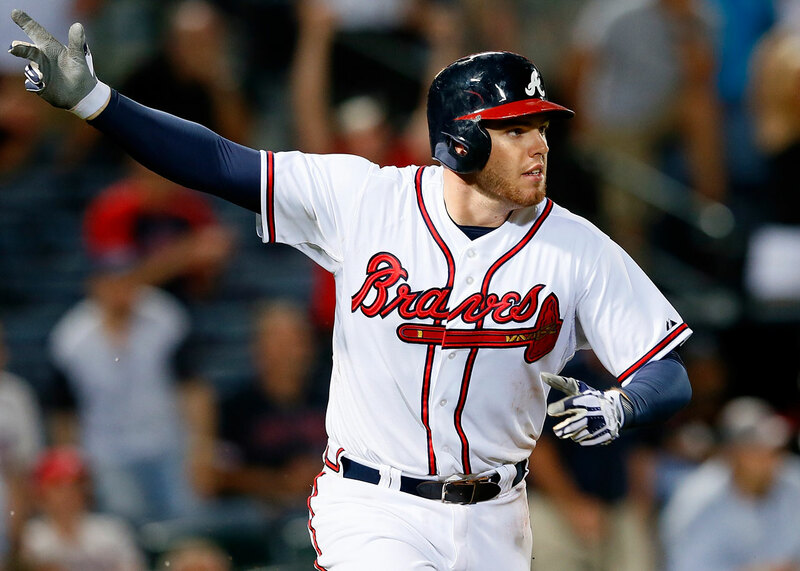 The 24-year-old Freeman had hit .287/.361/.468 and averaged 23 home runs and 93 RBI over his first three seasons. The Freeman extension, which was completely unexpected, is the richest contract in Braves history, far out-stripping the seven-year, $90 million the Braves gave Chipper Jones in 2000 just a few months in advance of his free agency. Upton, 28, signed with the Detroit Tigers on Jan. 18, 2016. He spent last season with the San Diego Padres after playing two years with the Atlanta Braves and six with the Arizona Diamondbacks. 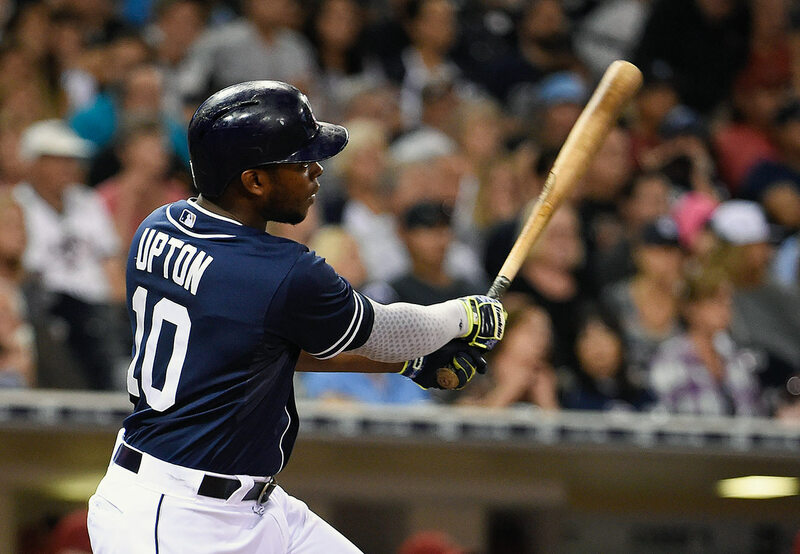 Upton earned his third All-Star appearance in 2015, batting .251 with 26 home runs and 81 RBIs. He also stole 19 bases, his most since 2011. 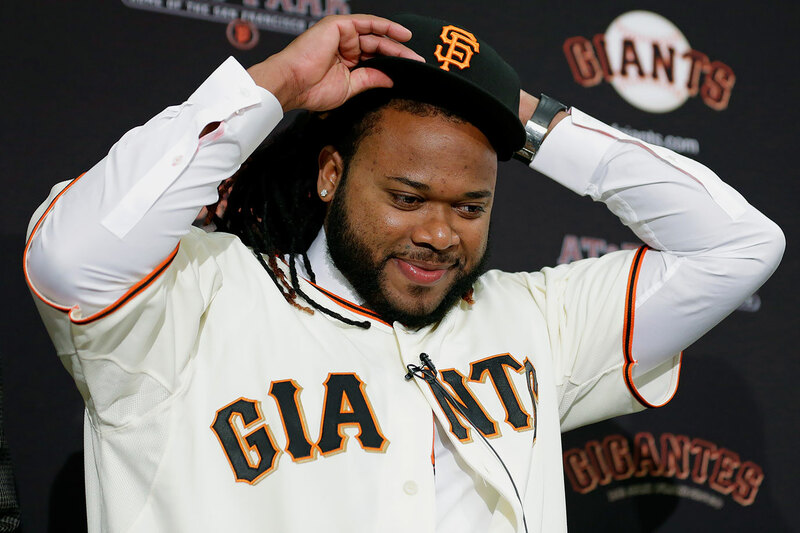 Cueto, 29, signed with the San Francisco Giants on Dec. 14, 2015. He finished the 2015 season with the Kansas City Royals after being acquired from the Cincinnati Reds at the trade deadline. Though he struggled after moving to the American League, Cueto posted a 3.44 ERA, 1.13 WHIP, 176 strikeouts and an 11–13 record over 212 innings split between Cincinnati and Kansas City. He was the winning pitcher in Game 2 of the World Series, helping the Royals win their first championship since 1985. In eight major league seasons, Cueto holds a career 3.30 ERA and 1.18 WHIP; he has made one All-Star team, back in 2014, and also finished second in the NL Cy Young voting that year. The former Cincinnati Reds outfielder had a slash line of .285/.423/.462 with 21 home runs and 20 stolen bases in 2013 before signing with the Texas Rangers. Choo also walked 121 times in 2013 and was considered a plus defender. 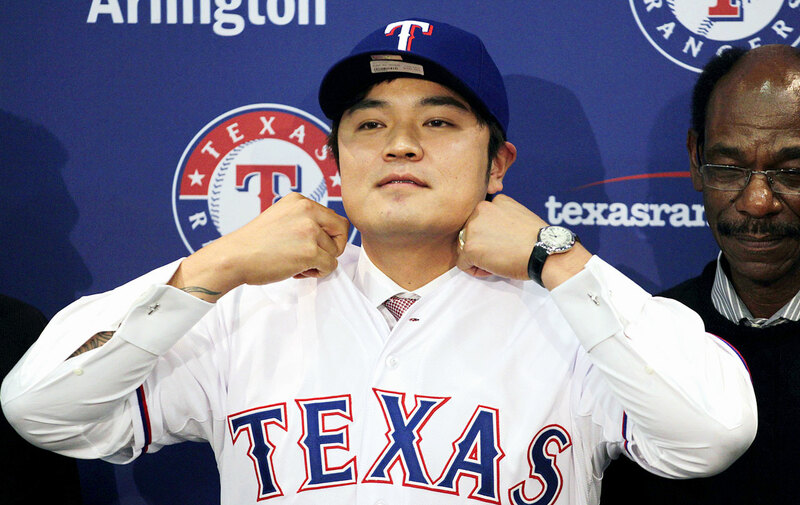 Texas' contract offer to Choo was $10 million less than what the New York Yankees reportedly offered him earlier in the offseason: a seven-year, $140 million deal his agent Scott Boras declined. The agreement added $112.5 million over five years to the $15 million salary for 2012 that was remaining in his previous deal. Cain got a $5 million signing bonus as part of the new contract and $20 million annually from 2013-17. The deal includes a $21 million option for 2018 with a $7.5 million buyout that, if exercised, would raise the total to $141 million over seven seasons. 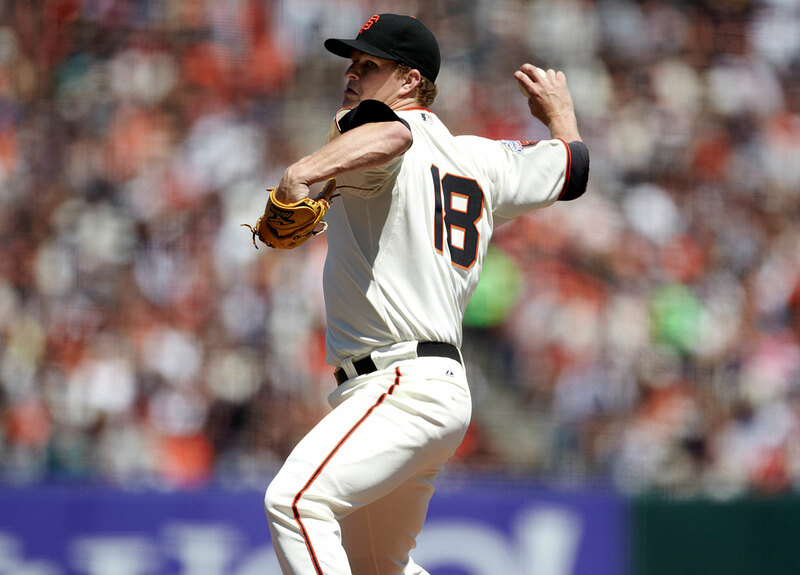 In 2011, Cain was 12-8 with a 2.88 ERA and tossing 179 strikeouts. The last remaining member of Oakland's Big Three finally left for the crosstown Giants before the 2007 season by accepting the largest deal ever at the time for a pitcher. 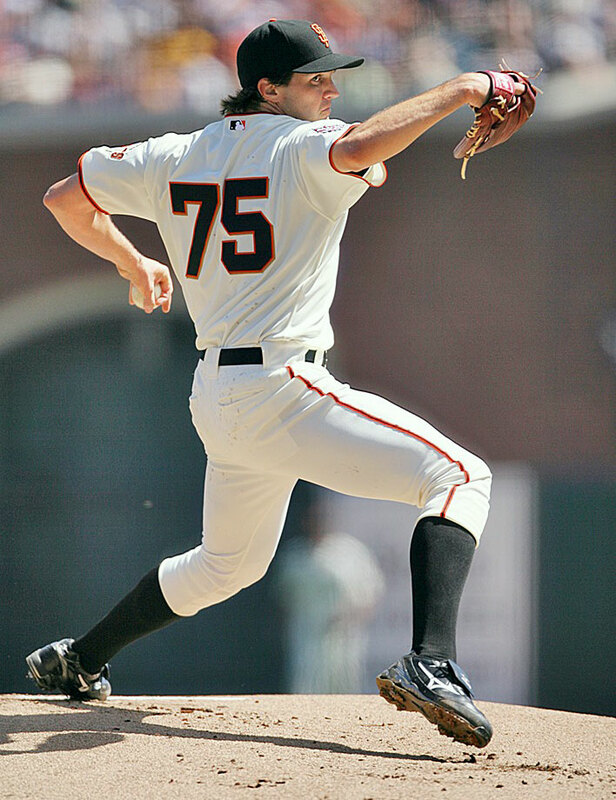 Zito went 63-80 with a 4.62 ERA through his seven seasons in San Francisco. The Blue Jays ensured their All-Star center fielder wouldn't leave via free agency after 2007 by signing him to this extension. Wells averaged 21 home runs and 90 RBIs from 2004-06 but he batted a career-low .245 in '07 and had only 15 home runs and 66 RBIs in '09. 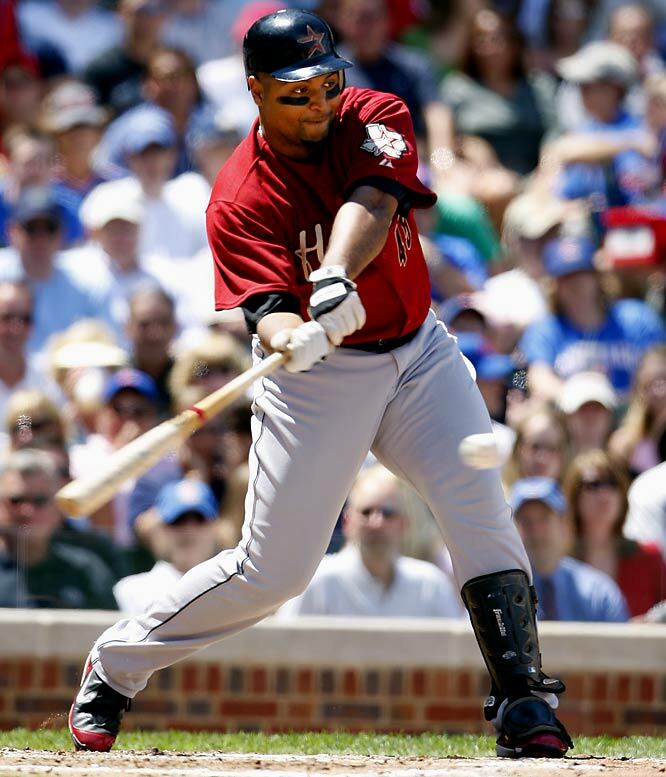 However, Wells did bounce back in 2010 with 31 homers and 88 RBIs. The Nationals raised more than a few eyebrows when they opened the vault for this 31-year-old right fielder after the 2010 season. 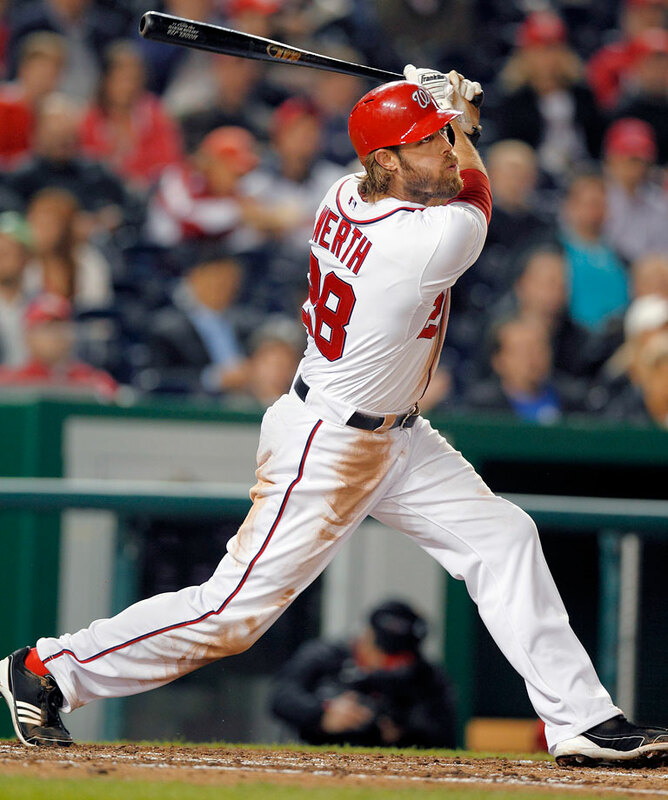 Over his first eight major league seasons, Werth batted .272 with 120 home runs but had yet to drive in 100 runs in a season and had appeared in just one All-Star Game. 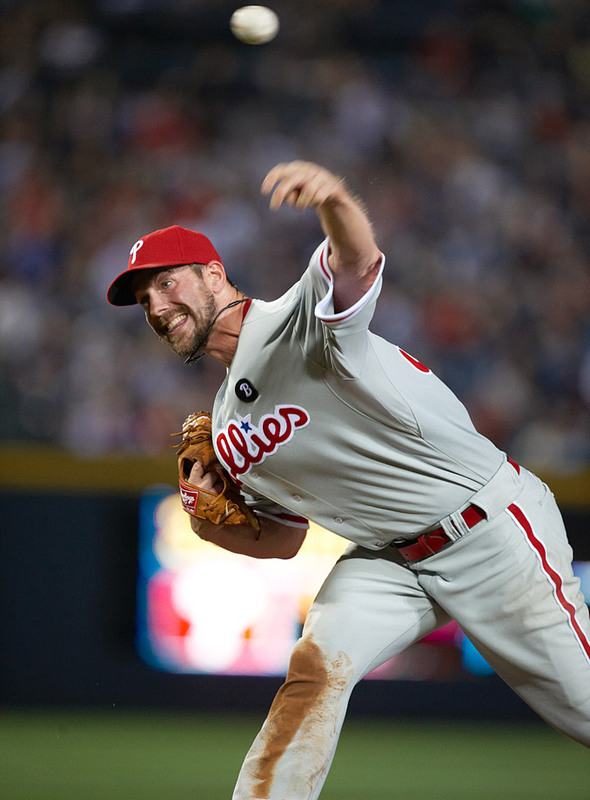 Howard signed a five-year extension with the Phillies on April 26, 2010, worth a guaranteed $125 million. The deal also includes a club option for a sixth that could increase the deal's value to $138 million. Howard, 30, was one of only three players in history to win a Rookie of the Year award and follow it up with an MVP the next season. 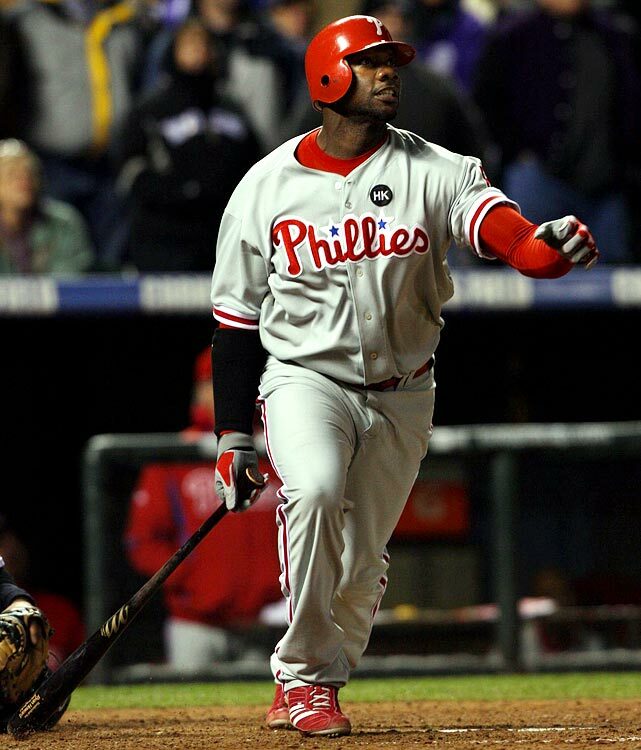 He averaged 49 home runs and 143 RBIs from 2006-09 and helped the Phillies win the 2008 World Series and the 2009 NL pennant, the same year he was named NLCS MVP. 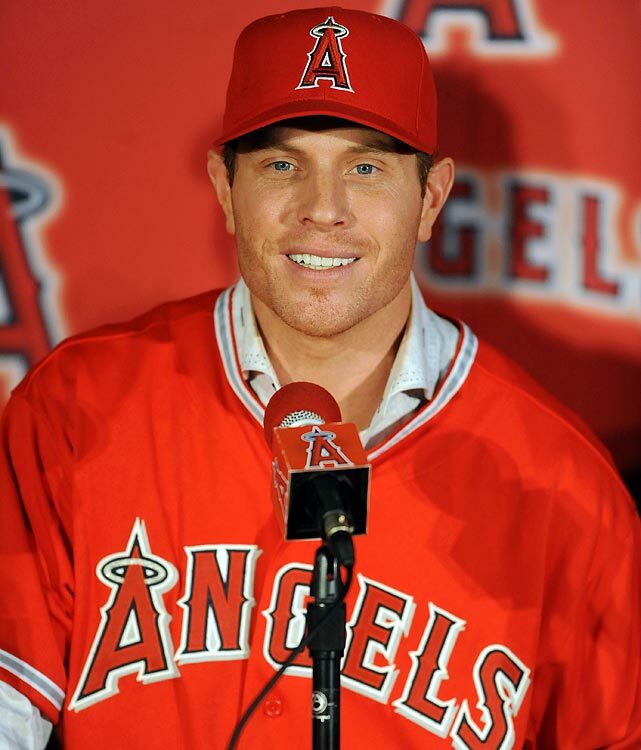 Texas had hoped to sign the 2010 AL Most Valuable Player, who led the Rangers to consecutive World Series appearances in 2010 and 2011, but Hamilton agreed to a contract with the Los Angeles Angels following the 2012 season. The 31-year-old was considered a risk by some teams because of his history of alcohol and substance abuse, which derailed his career before his surge with the Rangers over the previous five seasons. 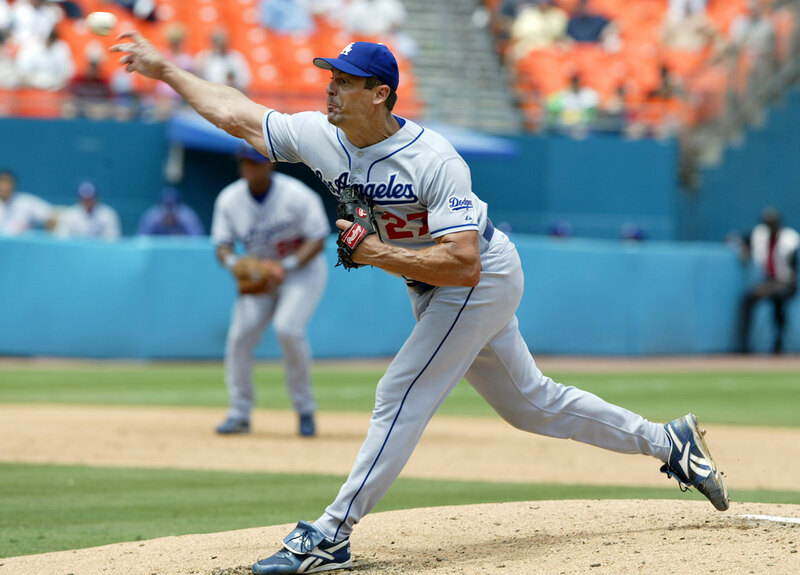 The star left-hander led the Mets to the 2000 NL pennant before hitting free agency. 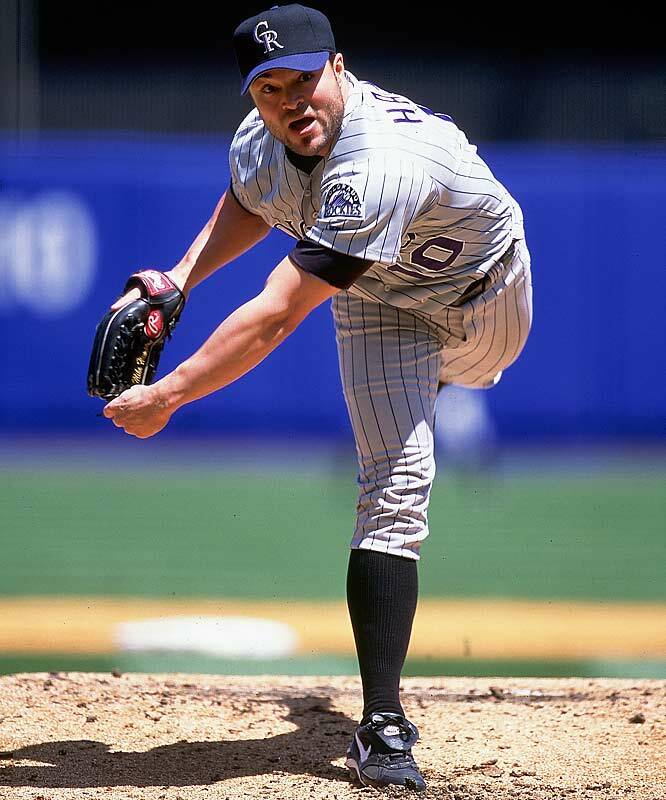 The pitching-starved Rockies scooped him up with this mega-contract that ended up being paid off by three teams -- Colorado, Florida and Atlanta and resulted in only 56 wins to date. 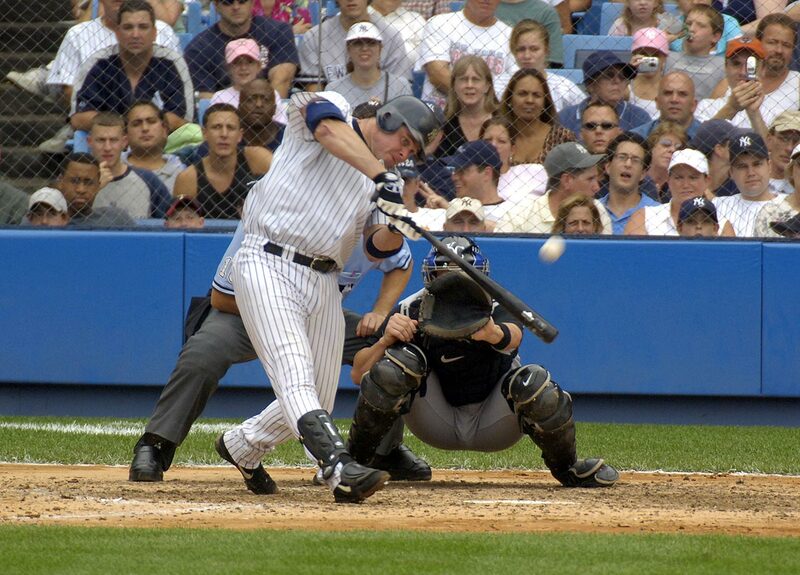 Giambi won the AL MVP with the Oakland A's in 2001, then bolted for the Bronx. The Yankees won only one pennant and no World Series with Giambi, who was one of a number of athletes who testified in the BALCO probe. St. Louis rewarded Holliday with a contract on Jan. 5, 2010 that pays him more than $17 million on average for each of the seven seasons and a full no-trade clause. Holliday batted .353 with 13 home runs and 55 RBIs in 63 games with the Cardinals after being acquired in a July '09 trade from Oakland. He helped stabilize their batting order by providing a consistent power threat in the cleanup spot behind NL MVP Albert Pujols. When they added Holliday on July 24, the Cardinals led the NL Central by just 1 1/2 games, but by the end of August their lead had swelled to 10 games and they cruised to the division title. The Yankees and Rangers offered more money, but almost a year after they traded him to the Mariners, Lee opted to return to the Phillies, the team he helped pitch into the 2009 World Series. 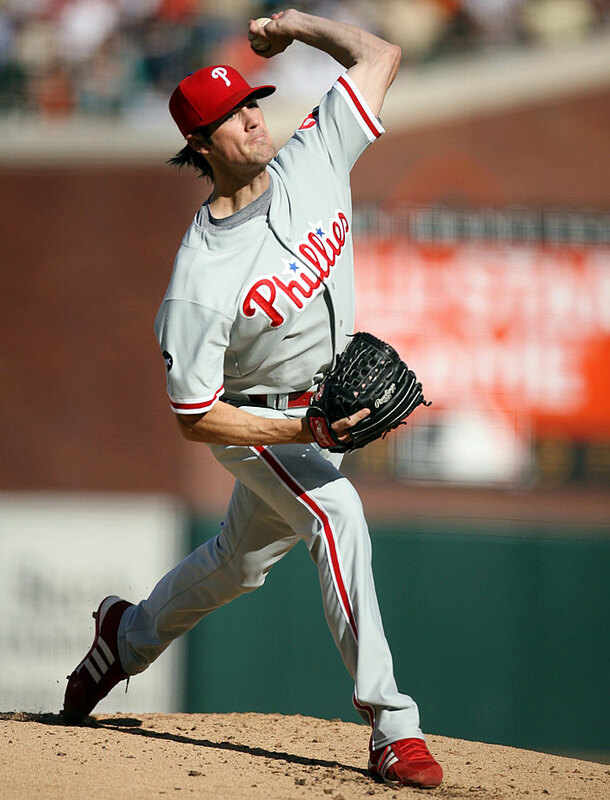 Lee joined Roy Halladay, Roy Oswalt and Cole Hamels to give Philadelphia what most observers felt was the best starting rotation in either league. After signing an eight-year extension in April 2013, the 24-year-old Andrus was owed $131 million over the next 10 seasons, including the money left on his current deal. 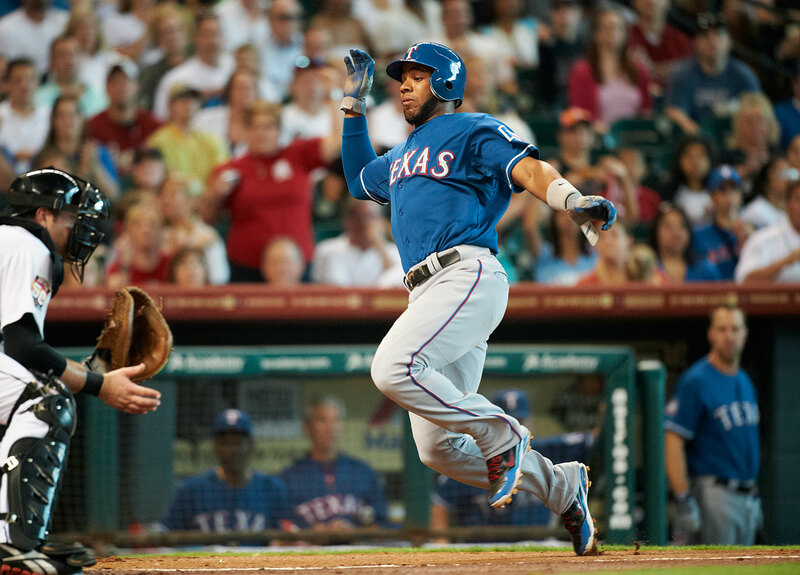 Andrus was considered one of the top young shortstops in baseball. He was an All-Star in 2012, when he hit .286 with 31 doubles. But the investment was heavy for a player with a career .275 batting average and only 14 home runs in four seasons. The Rangers are betting that Andrus will continue to grow offensively. Mets fans are loathe to admit this, but Beltran reportedly would have played for the Yankees for a lot less money. Instead, he cashed in on his breakout 2004 postseason with the Astros by signing with the Mets, whom he led to within one game of the World Series in 2006. The Reds won 96 games in 1999, the year before trading for "The Kid" and signing him to this massive contract extension. 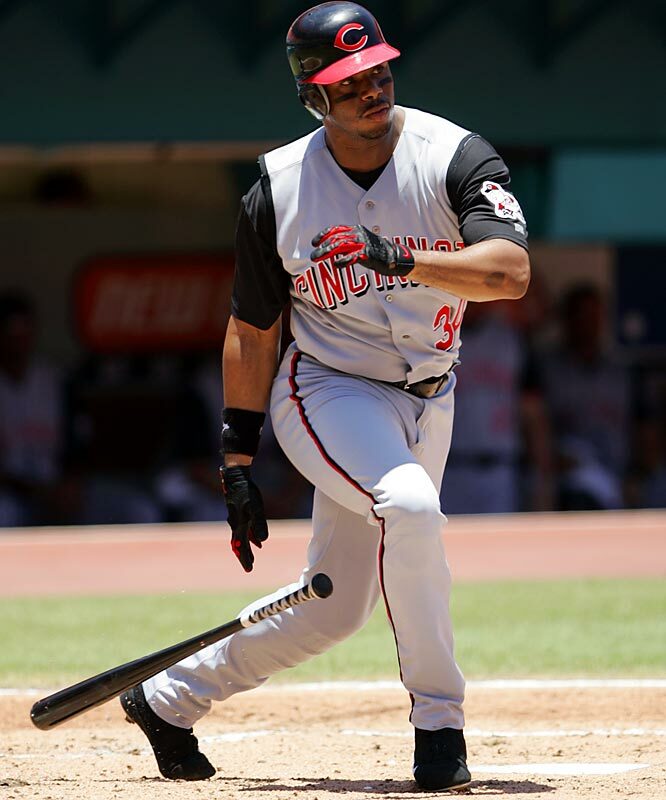 They hadn't won more than 85 games in a season since and finally traded the injury-plagued Griffey to the White Sox in July 2008. 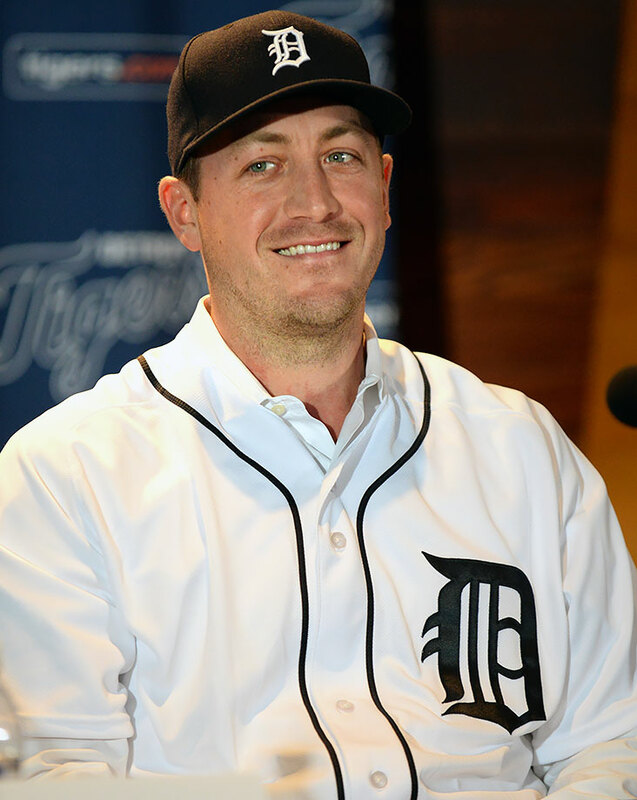 The first major signing of the 2015 offseason, two-time All-Star Jordan Zimmermann had a career 70-50 record and 3.32 ERA in seven seasons with the Washington Nationals before rejecting a qualifying offer and leaving to sign with the Detroit Tigers on Nov. 29, 2015. Pedroia and the Red Sox agreed on an eight-year contract extension worth $110 million, with Pedroia owning a full no-trade clause. Pedroia has been a franchise cornerstone in Boston since his rookie year in 2007, when the Red Sox won the World Series and he won AL Rookie of the Year after hitting .317. The next season, Pedroia hit a career-high .326 with 54 doubles and scored 118 runs to win Most Valuable Player. 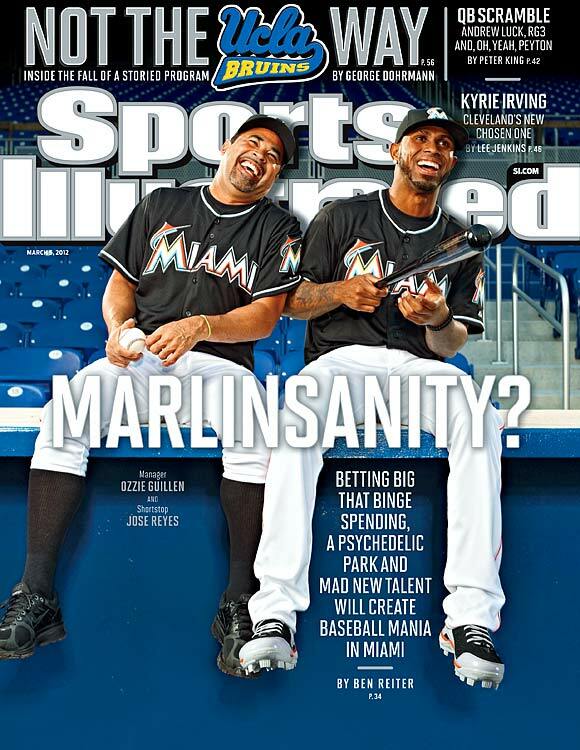 The Miami Marlins kicked off the 2011 offseason by landing prized shortstop Jose Reyes with a six-year, $106 million contract. The deal gave the Marlins the big name they wanted to open their new stadium along with an electric two-way player that is a four-time All-Star and reigning NL batting champ. After just one season with the Marlins, Reyes was traded to the Blue Jays in a huge multiplayer deal that proved to be a salary dump for Miami. The Dodgers lured Brown away from the Padres in free agency after the 1998 season with the biggest contract in history at the time. Brown pitched well, though not spectacularly, for the Dodgers in parts of five non-playoff seasons before being traded to the Yankees. The Brewers signed Braun to a five-year contract extension in April 2011 that guaranted the All-Star an additional $105 million on top of his current deal and will run at least through the 2020 season. Braun got a $10 million signing bonus and will make salaries of $19 million in 2016-18, $18 million in 2019, $16 million in 2020. The mutual option for 2021 is worth up to $20 million with a $4 million buyout. 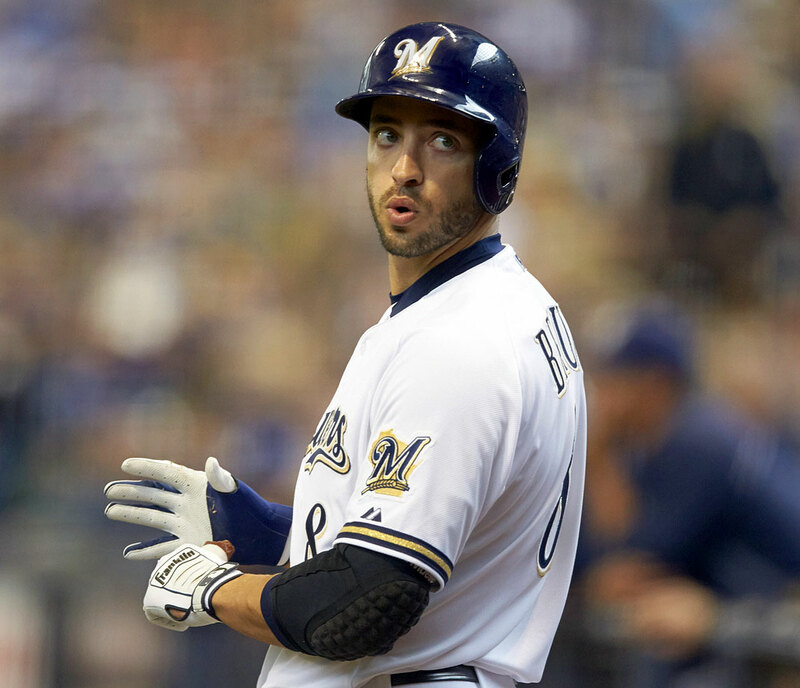 Braun signed a $45 million, seven-year extension in 2008 after winning the NL Rookie of the Year in 2007, which was the largest contract ever by a player with less than one year of service time. 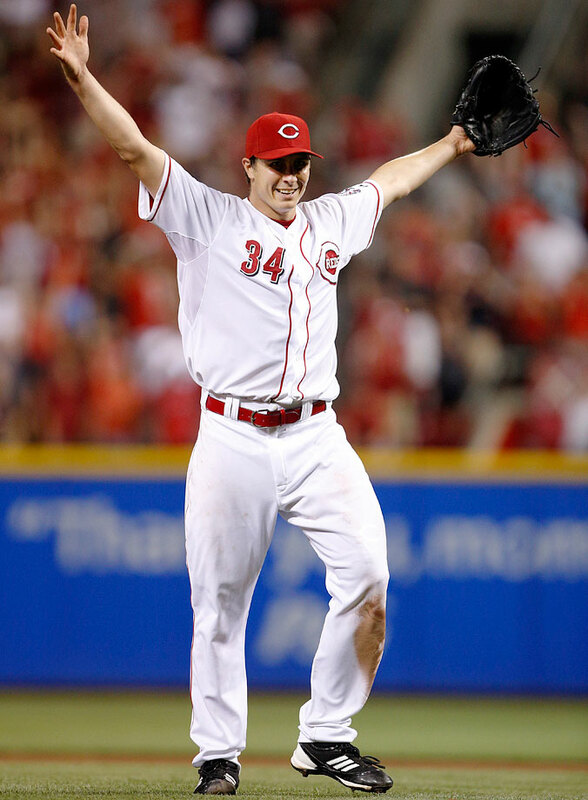 The righthander, who had thrown a no-hitter in both 2012 and 2013, compiled a 49-45 record with a 4.25 ERA since his MLB debut with the Cincinnati Reds in 2007 before agreeing to an extension in Feb. 2014. Bailey's 209 innings pitched and 199 strikeouts in 2013 were career-bests for the Texas native. The Astros finally addressed their woeful offense by signing this All-Star slugger away from the Texas Rangers after the 2006 season. From 2007-09, Lee hit at least .300 with 100 RBIs each season. In 2010, Lee batted a career-low .246 with a .291 OBP, yet still managed to hit 24 home runs with 89 RBIs. The Nationals extended the third baseman's contract through 2019, adding six years and $100 million. 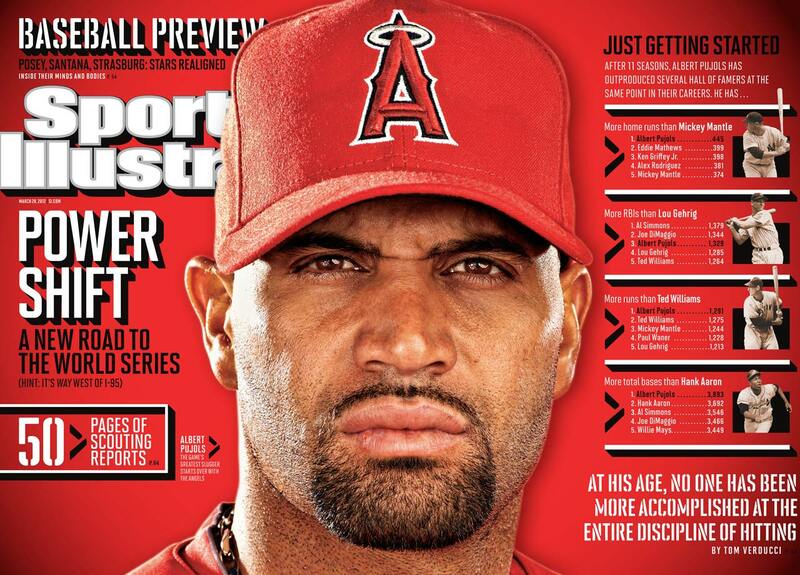 He already was signed for 2012 and 2013 for $26 million. Zimmerman was the Nationals' first draft pick after moving to Washington. 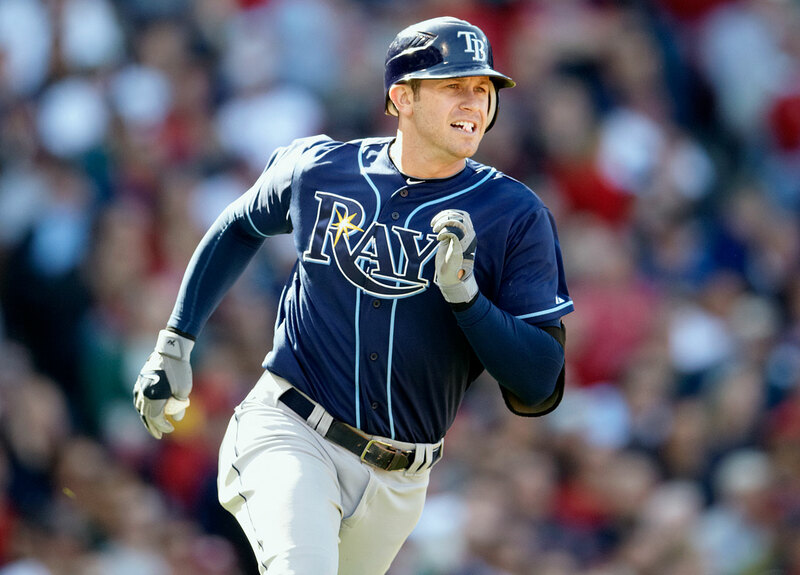 Following the 2012 season, Tampa Bay Rays third baseman Evan Longoria agreed to a new contract through 2022 that adds six guaranteed seasons and $100 million. The agreement with the three-time All-Star incorporated the remainder of the 27-year-old's existing contract, which called for him to earn $36.6 million over the next four seasons. The new deal includes a team option for 2023. 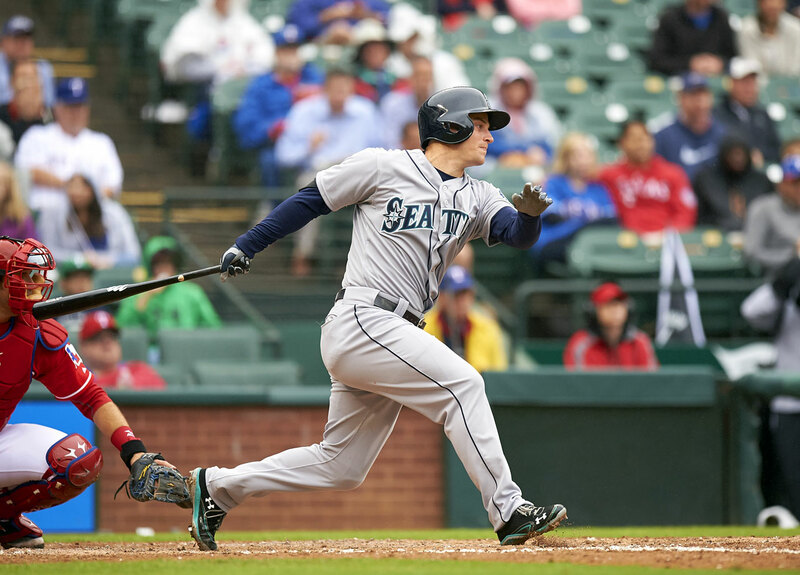 The Mariners rewarded Seager after he set career highs by hitting .268 with 25 home runs and 96 RBI and also won his first Gold Glove in 2014. Seager joined 2014 AL MVP Mike Trout, 2012 NL MVP Buster Posey and Braves first baseman Freddie Freeman as the only players to sign $100 million plus deals before or in their first season of salary arbitration.